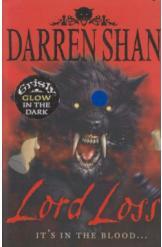 Lord Loss Darren Shan Sci Fi. Book is in good condition, all pages intact. A boy named Grubbs Grady is forced to confront the evil Lord Loss and his world of magic, monsters, and horror. Book one of the Demonata series.